Radiation defects induced in planar nanosized structures by steady and pulsed ionizing radiation have been analyzed. Characteristics of test samples with a planar nanosized structure fabricated by deposition of an ultrathin titanium film onto a semi-insulating GaAs substrate and of field-effect transistor structures based on bundles of carbon nanotubes have been studied. 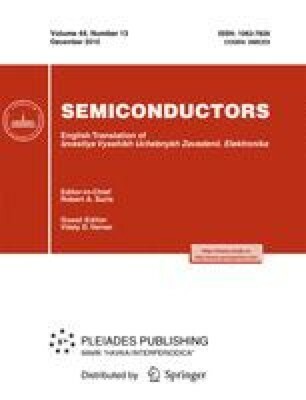 Physical mechanisms responsible for the radiation-induced changes in characteristics of the nanoelectronic elements under consideration have been established. Original Russian Text © D.V. Gromov, V.V. Elesin, G.V. Petrov, I.I. Bobrinetskii, V.K. Nevolin, 2010, published in Izvestiya vysshikh uchebnykh zavedenii. Elektronika.